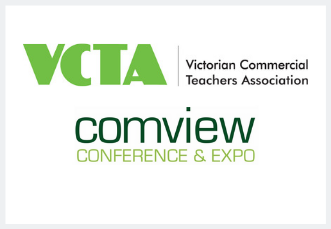 Comview is the annual conference of the Victorian Commercial Teachers Association. With a comprehensive program of over 100 sessions, Comview has an extensive focus on VCE Accounting, VCE Business Management, VCE Economics and VCE Legal Studies. The program includes a large number of engaging presentations in the Levels 7 to 10 strand, directly addressing components of the Victorian Curriculum. These workshops and sessions are also valuable to those implementing the Australian Curriculum. The Of interest to all strand comprises of sessions with a cross-curriculum focus, providing knowledge and skills for everyday learning and teaching. Comview has been an annual event for over 36 years.